Widely known as one of the most glamorous and extravagant beach clubs in the world, Nikki Beach Club has been building up and polishing that reputation for more than 20 years. With locations in renowned seaside party locales such as Miami, Mallorca, Ibiza, and Saint Tropez, and their Lipa Noi Beach location in Koh Samui, they pretty much have all the bases covered. 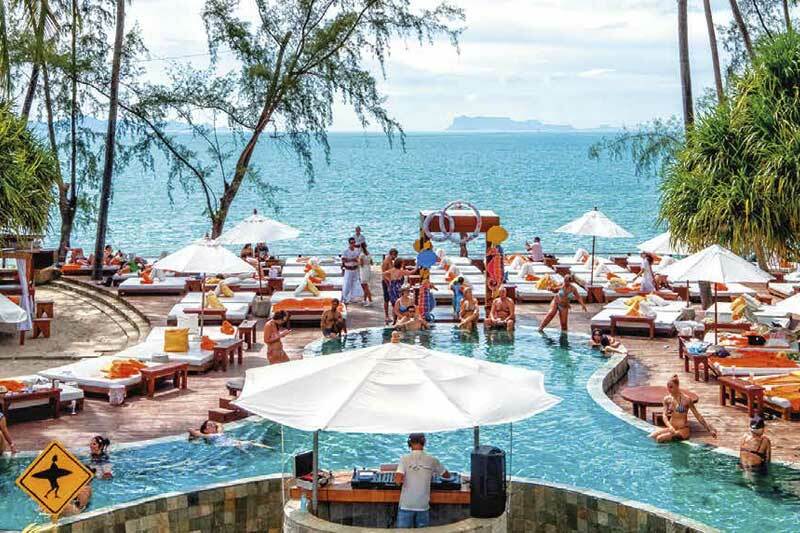 Many consider Nikki Beach Koh Samui an elite destination for a day chilling in the pool, sipping on champagne, and dancing to top-notch international DJs. What some may not realise is that you can come for the day, and never leave. That’s because in addition to their beach club, which was voted the “sexiest beach bar” by the Travel Channel, Nikki Beach Koh Samui is also an exclusive 48-room beach resort. 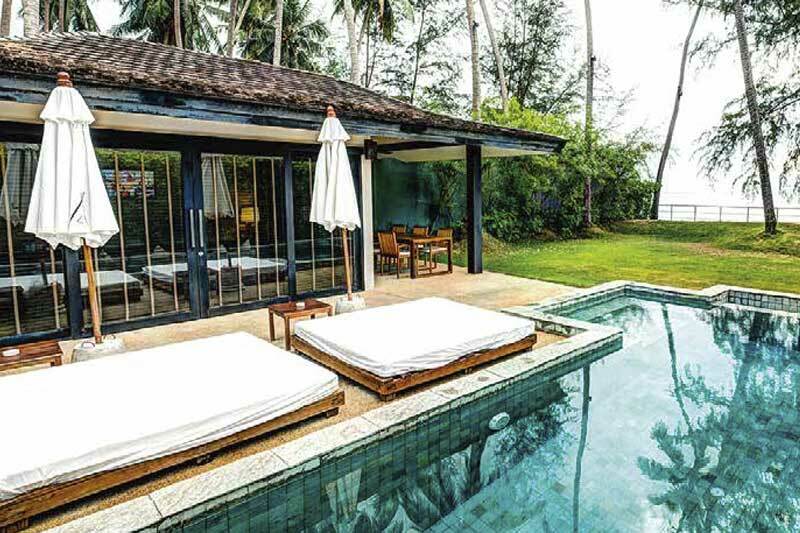 The accommodations are set into two separate wings flanking the beach club in the centre offering up five basic room types: garden villas, seaview villas, pool access suite, pool view suite, and the penthouse. 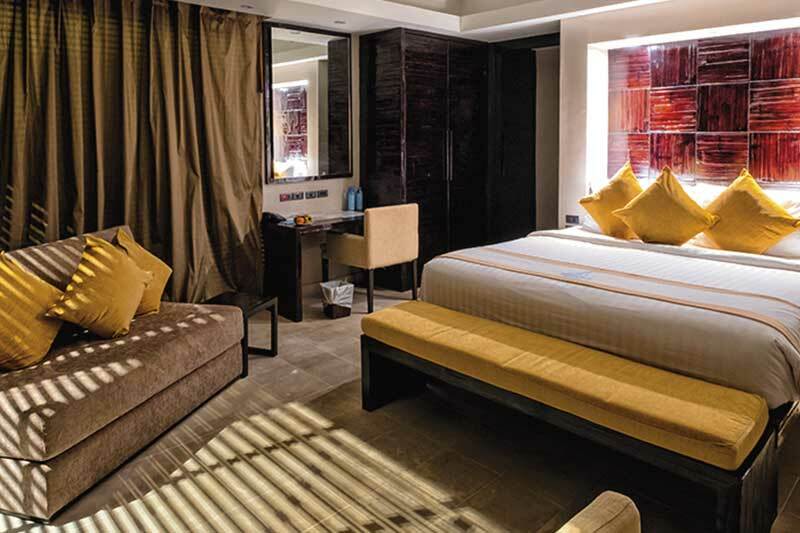 Appealing to groups of friends or families, several suites can be converted to two, to up to five bedrooms. The suites are situated on each side of a pool so long it’s more like an inland sea. They all have immense balconies with cosy couches and strong ceiling fans to keep the breeze blowing – a small but appreciated detail. The 70 sqm. garden villas have equally spacious verandas just outside of the tastefully decorated and well-appointed rooms. Step off the veranda of a seaview villa right onto the sand and leave the door open and let the salty breeze blow through. Seaview pool villas have the best of both worlds with a pool right outside your door and only steps to the sea. All rooms are luxuriously appointed with silky linens on comfy king-size beds, high ceilings with modern lighting, and sprawling bathrooms with his-and-her sinks. The walk-in sowers are equipped with awesome rain shower heads and posh aromatherapy products. While you take a break from partying at the beach club, you can flick on the 42” TV with a ton of international channels where something is always on. And as one may expect of a resort of this caliber, they offer many other activities to keep you occupied including a full service spa, gym, boutique shop, Thai cooking classes, a beachfront massage pagoda, and shuttle service to take you to all sorts of cool spots around the island. Any mention of Nikki Beach Koh Samui would be remiss without bringing up their notoriously amazing Sunday brunch with an endless array of delectable fare and drink options. Most people are likely come to Nikki Beach with their sights set on having a wild time at the beach club, but now you can come for the part and stay for the resort.